Louisville is a great city, and we have had a lot of success here. 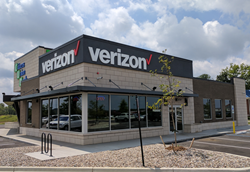 Cellular Sales, the nation’s largest Verizon premium retailer, opened its eighth Louisville location and first Kentucky store in 2017 on July 7. The new Cellular Sales store is located at 101 Huntington Ridge Drive in Middletown. It sits just off Shelbyville Road, across from Academy Sports and Chick-fil-A. Since the company’s founding in 1993, Cellular Sales has rapidly expanded their national footprint. The company currently operates more than 600 stores across 37 states employing more than 5,000 people. Cellular Sales growth has been acknowledged by Inc. Magazine’s Inc. 5000 List, naming Cellular Sales one of the nation’s fastest-growing privately owned retailers eight times in the past nine years. Cellular Sales seeks to hire motivated sales professionals with a passion for customer service to work at its Louisville store. Those interested in applying for jobs at Cellular Sales in Louisville may contact Cellular Sales Recruiter Marcus Hundley at (859) 321-5437 or marcus.hundley(at)cellularsales(dot)com. Headquartered in Knoxville, Tenn., Cellular Sales was founded in 1993 and has been named by Inc. Magazine as one of the nation’s fastest-growing privately owned retailers for eight of the past nine years. The company currently employs nearly 5,000 people and operates approximately 600 stores nationwide. Job seekers may visit jobs.cellularsales.com. For more information on the company, visit cellularsales.com.